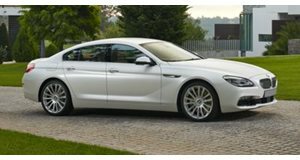 The Next Generation BMW 6 Series Lineup Is Going To Shrink? 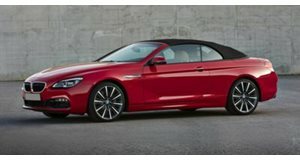 Although not its best-sellers by any means, the BMW 6 Series coupe, cabriolet and Gran Coupe for the German automaker. And like the 5 Series on which they’re based on, an all-new 6 Series is currently under development, featuring an all-new lighter weight platform. 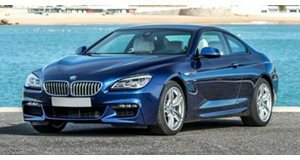 So what’s clear is that that yes, the 6 Series will remain a part of the lineup but, according to a new report from Automobile Magazine, two body styles may not survive. Supposedly, BMW is having sort of a "major last-minute rethink" about the next 6 Series, which is due to arrive in either 2018 or 2019 (after the new 5 Series). For whatever reason(s), both the convertible and four-door Gran Coupe could get the axe. Why the convertible? Good question. We honestly don’t have an answer at the moment. Our best guess is due to weight. The current car is already quite heavy (it's a grand tourer, after all), but its replacement will likely shed about 500 pounds thanks to that new platform. BMW clearly wants to keep weight to a minimum, and a heavier convertible won’t accomplish that. It’ll also feature an optional air suspension, rear-wheel steering and a new quad-turbo inline-six with around 550 hp. , however, makes sense. Reason being is that BMW is . To avoid internal competition, the Gran Coupe would therefore have to go.